Olesnitsky, Jaroslav [Ярослав Олесницький] – lawyer, diplomat, active in political affairs; born in 1875 in Halych (Ivano-Frankivsk oblast, Ukraine; at that time – Austrian crown land of Galicia); died on 15 July 1933 in Zolochiv (Lviv oblast, Ukraine; at that time – Ternopil voivodeship, Poland). In October 1918 Olesnytskyi was appointed to the Lviv-based Ukrainian National Rada, which proclaimed the establishment of the Western Ukrainian People’s Republic (ZUNR) in the following month. He became an adviser of the ZUNR foreign affairs secretariat and was a member of the Western Ukrainian delegation attending the proclamation of the union of the ZUNR with the Ukrainian People’s Republic (UNR) in Kyiv on 22 January 1919. On 28 January 1919 Olesnitsky was appointed First Counsellor of the diplomatic mission of the UNR which arrived in London in May of that year. From September 1919 to January 1920 he acted as temporary head of the mission after the resignation of Mykola Stakhovsky. In August 1920 he became head of the mission after the resignation of Stakhovsky’s successor, Arnold Margolin. Together with Margolin he prepared a case for the admission of the UNR to the League of Nations. He remained in post until the work of the mission ended, and returned to Lviv in 1921. In 1921-22 he lectured at the Lviv (Underground) Ukrainian University. From 1923 he lived in Zolochiv where he practised as a lawyer. 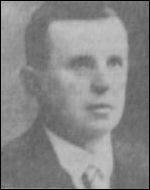 In 1930 he was elected to the Sejm (Diet) of the Polish Republic, representing the Ukrainian National Democratic Alliance (UNDO).